Ok, so I know I haven’t blogged in a few days but I am in website migration h e double toothpicks. I have had my website hosted by a provider since 2005 and they were sold and are migrating to a different version of service. That means that I am going to get some really cool options with the site, like integrating my store inventory directly to my website inventory and vice versa. I’ll be able to put everything in the store on the site I can and not worry about a pacifier or hairclip I might sell not being in stock because it will pull it off the website as soon as I sell it in the store. On the downside, looking at the new site right now on my end (it can’t be seen online) it looks horrible. Horrible. I spent a lot of time getting my site designed and now it’s all wonky. Lots of work has to go into the new one before it launches September 15th. Perfect timing with Fall orders coming in. I have to laugh though, it’s just my luck. They choose to intigrate me now and not in oh, June, when there isn’t a need to add new products to the site. Go figure. 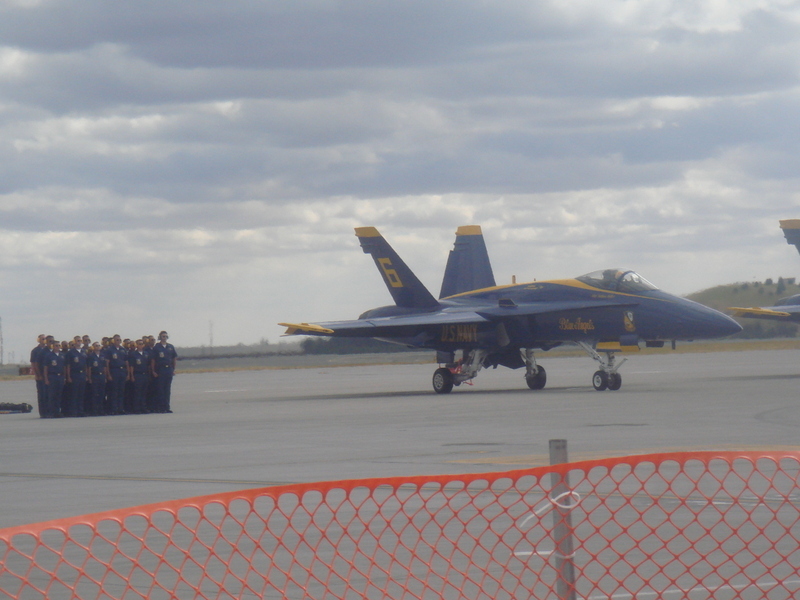 So I haven’t posted in a few days but I took some well needed time off and went to see my brother perform in Spokane at the Fairchild AFB Air Show. After a long 6 hours to Spokane, it was a great time. First and foremost I was able to spend time with my brother, as I get older I appreciate that (and him) so much more. When you are young I think it is so easy to take family for granted, I just don’t do that anymore in my old age 🙂 My cousin and her husband also made the drive and I think this was the first time we actually hung out together outside of a family "party". They are so funny, I need to see them more. I noticed something changed for me…. my appreciation for our military, actually for the people who serve in our military. I’m not an Air Show kinda gal and I wasn’t exactly a very pro-military girl when I was young either. But we have been going to these Air Shows for four years now and I have to say that I have a whole new respect for the people who serve our country. Good or bad, they might not have a great boss but they have a job to do and I totally respect the sacrifice and commitment these men and women make. There are hundreds upon thousands doing jobs I don’t want to do so I can actually do the one that I want to do. Some of the best pilots, parachutists, crew chiefs and other staff performed this weekend and we had a great time watching them and meeting some of them…. really nice people, I must say. We were all in agreement on the car ride home that our favorites were The Golden Knights, the F-22 Raptor and then the Blue Angels. Yes, the Blue Angels were 3rd, but you have to see and hear the Raptor! This plane can go straight up in the air (way faster then a Blue Angels Jet) and then just stop and hover, then go backwards and roll. People stopped in their tracks and mouths were wide open. It was an amazing sight. whWe received our first shipment of Me Too in yesterday and got it out on the floor. Boy, is it ever cute! Nothing like unpacking a few hats and mittens on a 90 degree overcast Seattle day. It didn’t feel right. Although, because it was so hot there wasn’t that many people at the Village so Theresa and I were able to move things around and spread out a lot, which was good. Here’s a little known secret about Country Village, we have AIR CONDITIONING! You can come and walk around and stop by for a little shopping a cool air. Pre-Orders: I figured out how to fix our pre-order problem! I have to go in and change all the prices to the normal price and then when you checkout the deposit (50%) will be reflected in the cart. Whew. Some of you reading this blog might have read in our Newsletter about a donation we made to an upcoming auction, Vino for the Bambino, that takes place September 17th at Lake Union Cafe. We get to meet this cute little guy this weekend when my brother preforms at the Air Show in Spokane. I can’t wait. Here is what I sent out (in case you don’t get our newsletter). As you can imagine we are always receiving requests for items or certificates for auctions. I really do my best to accommodate every request but this particular one really moved me and I jumped at the chance to participate. So much so I am sending their auction information out in our newsletter. A quick background on Joe (I stole from their website)…..
On May 5th, 2006, 3 weeks before his 3rd birthday, Joe suffered a life threatening spinal aneurysm that left him a quadriplegic. He was airlifted to Children’s Hospital where he spent the next three months. Prior to the aneurism, which doctors say was caused by a rare circumstance where a group of blood vessels had grown together, he was perfectly healthy.
. Joe has the opportunity to be a part of an amazing program at the Kennedy Krieger Institute that is creating everyday miracles for many children.
. Grassroots fundraising to help supplement the costs of the program. They are holding a wine tasting and auction at Lake Union Cafe on September 17th and it looks like not only a bunch of fun, but such a great cause. 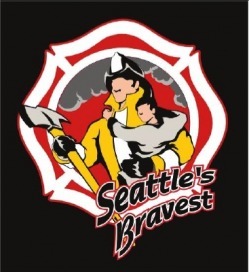 Check out Band of Balloons as well as Seattle’s Bravest Charity. As the daughter of a retired Seattle Police Officer I have a big spot in my heart for those that serve our community and what they do and sacrifice. It's happening at Country Village! Awesome August went ok yesterday, there are some obvious little tweaks that need to be made to the event. I think that next year, with a little work the event could really be amazing. There was a big turnout and there is still one more day left today, which I imagine will not be as busy since it is Seafair Sunday and the Hydro races are today, along with the Blue Angels. Did you come to the event? Are there any suggestions you have to make it better? Leave a comment or email me and let me know. Not that I have any huge say in what happens but I would love to hear any feedback and I promise I will pass it on to Country Village management. So the morning isn’t starting off well. We ran out of coffee beans yesterday and forgot, until I woke up this morning. Ok, that’s not totally true. I told my husband late last night and he said he would get them in the morning and then didn’t get up in time to get them. So I woke up first (as always) and with everyone sleeping I had to run down to the coffee stand to get my morning jump start. Uhhh I better say, I wasn’t being the mom who leaves her kids to go grab stuff at the store like you see on the news. Steve was literally 2 feet away from them (that’s another story) and they sleep late just like he does or (and trust me on this) they wake you up when they get up. So, aftrer all this I am looking forward to an awesome "Awesome August". Steve will blow up and hand out balloons all day, the hair salon is booked and I hope we get to see a bunch of people we know and meet new ones. Sorry if I was sounding grumpy yesterday, I really wasn’t. Frustrated at my inability to totally keep up and make things perfect, a little. Life isn’t perfect, it throws curveballs… I just wish my web provider was perfect. They should be perfect. This weekend is Awesome August at Country Village. Here is the blurb I put in our Newsletter yesterday (YES, I got it done!). This weekend August 2nd and 3rd, Country Village is starting the first of what should surely be a fun annual event, Awesome August… a weekend for kids. Bella and Max will have balloons on Saturday and Sunday. On Sunday between 12-4 (or while supplies last) we will also have Child Identity Kits from the Washington Child Identification Program, or CHIP. CHIP is a volunteer effort that provides identification packets to families so that they have the needed records should a child become lost, missing or kidnapped. The program includes a brief video, finger prints, tooth impressions and DNA swabs as well as valuable information for keeping your children safe. We are very happy and proud to bring this service to our community and hope to do this quarterly along with a stranger safety class. Click here for more information about what other shops are doing for this weekend event. You can also pick a packet up (including a ticket for a free train ride, a free snow cone and a sample bag of Kettle Korn) at Toys That Teach. I’ll be working Saturday, but not Sunday, so I hope the kits go well. Bella takes piano and singing at Dee’s Music Room so I’ll be watching her on the main stage at 1:00 with her little signing group. They’re so cute, I can’t wait! If you haven’t heard about Dee’s you should click on her above. 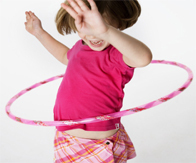 They offer some great classes and Bella really loves and looks forward to her classes.